Goa became a landmark on the hippie trail through India in the 1960s, thanks to its too-good-to-be-true beaches and laidback lifestyle. But the first western visitors to reach this idyllic locale arrived much earlier: they came from Portugal in the sixteenth century and claimed Goa on behalf of their King and their God. David Tomory explores the outside influences at work on Goa from the time of the Portuguese to the present day and how they have fused with local culture to produce a distinctly different India state. From the horrors of the Inquisition to the rise of Génération Techno, he provides an entertaining and informative tour through the life of Goa. He reveals what Goa is actually like for both westerners and Goans, and catches Goa as it stands on the brink of a complicated future. On the east coast of India is a place so shaped by travelers that it resembles less India than a projection of foreign aims and fantasies. Isolated from the rest of the country by a mountainous barrier, the province of Goa has drawn adventurers by sea and air, from tribal nomads and migrant Aryans, to the Portuguese (who ruled for 450 years), to the psychedelic conquistadors of the 1960s. These are all "old conquests" in this history of Goa as written by a self-described serial tourist from London. 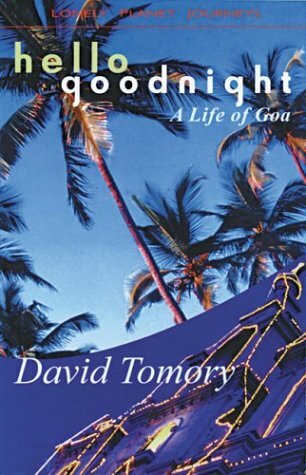 David Tomory, whose last adventure, A Season in Heaven, took him to Katmandu, delves deep into Goa's past. It's a slow-paced and nicely atmospheric journey through the area's checkered history, hopping seamlessly from politics to entomology to anthropology to geography. He imagines the Spanish inquisitions and analyzes their impact, and jumps into the Empire of the Hip, a wildly bohemian era during which the mix of hallucinogenics and loosely interpreted Indian philosophies drew oddballs from all over and Indian men took bus tours to see the fully naked Western women on the beach.